Every morning Javier takes a bus to work in an insurance company in Temuco. Javier wants to go to university after several years of work. He has decided that the money he earns can be used how he chooses. He does not feel obligated to share it with his family. Felipe started studying psychology in the Universidad Autónoma when he was 23. 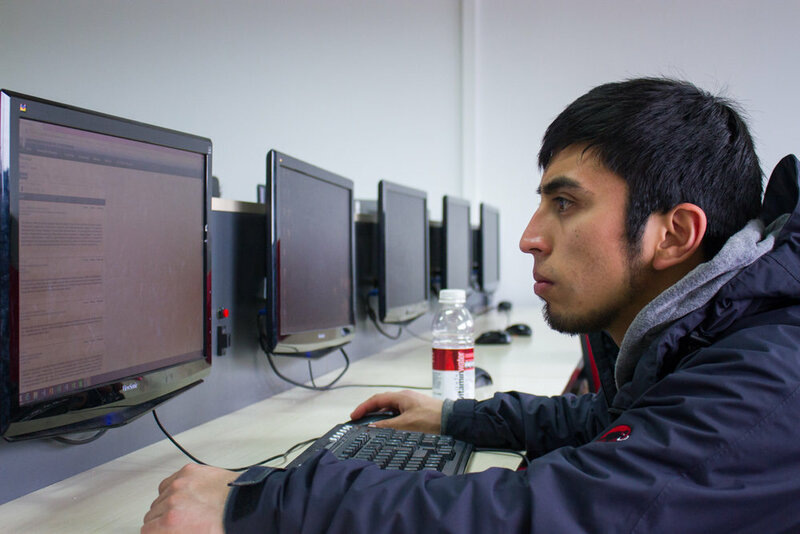 He is one of the few Mapuche students in the university. 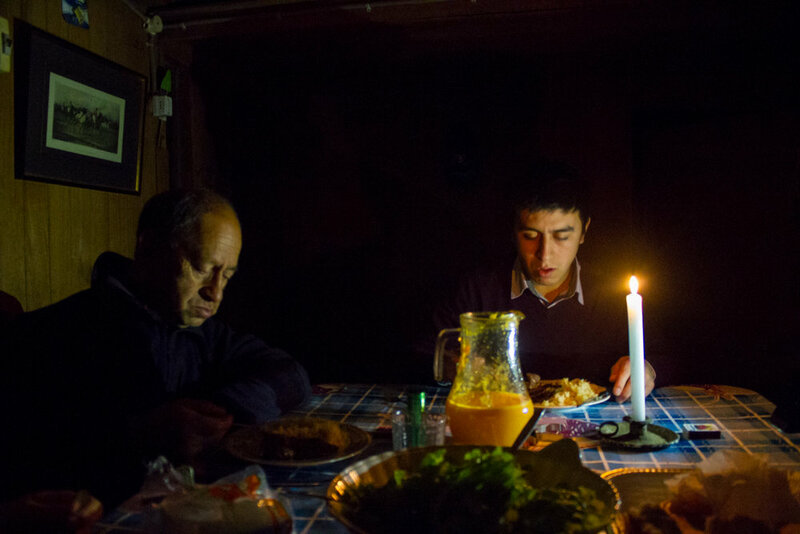 In Chile, the tuition is often too high for Mapuche students to even consider going to University. There is no internet at home so he does the majority of his work at school. Felipe pays for university, school supplies and food with a government scholarship. He wants to work in the city but wants to live the rest of his life in the country where "life moves slower". 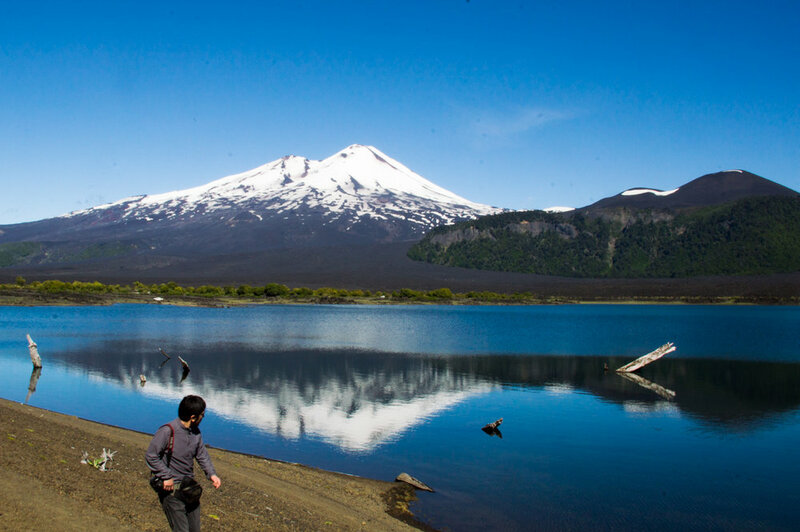 Felipe, Javier and their cousin Tito visit the Green Lake and the Llaima Volcano in Conguillio National Park. Felipe takes one final photo of the Sierra Nevadas before finishing his hike in Conquillio National Park. There is nothing Felipe likes more than the nature of Chile. Felipe always takes photos of events in the community. He frequently looks back through them to remember his best times. He practices photographic techniques and never uses automatic focus, only manual because, to him, the photos appear sharper. He takes great pride in a good photo. Frequently, Felipe lends his camera to others in the community so that they can save precious moments like he does. He experiments with light in a cave near the river in Chapod. Javier loves soccer. He practices head butting tree branches outside of his house, watches every Chile and Colo Colo game and he plays fussball every chance he gets. Mapuche teenagers from the Juventud Evangélica Aliancista (J.E.A) meet to celebrate the birthday of their pastor, Jorge Parada. Felipe sleeps in a micro bus after a long day in his university.